Have you dreamed of a wedding Martha Stewart would be proud of? 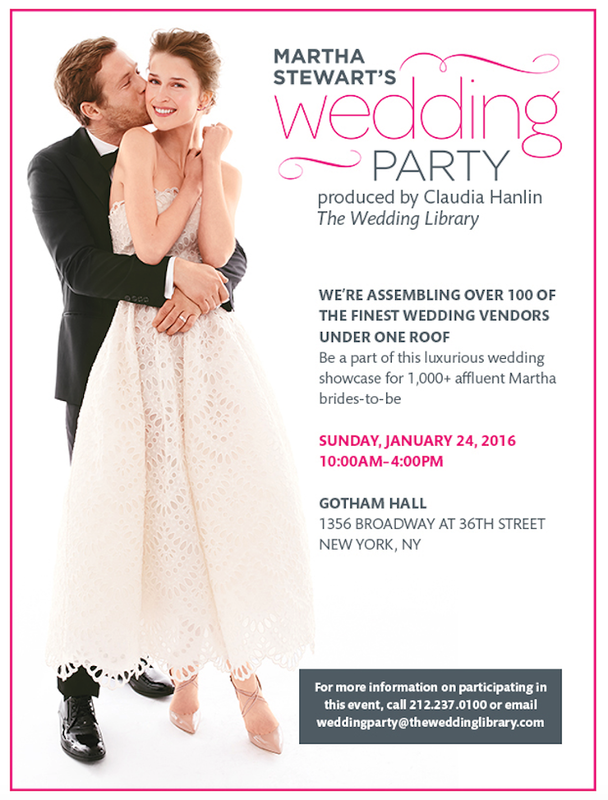 We are giving away a pair of tickets (valued at $75 each) to Martha Stewart’s Wedding Party in New York! This luxury bridal showcase brings together over 100 of the finest wedding vendors, expert speakers, and bridal fashions for six hours of shopping, planning and schmoozing with top industry pros. Click here for more information on the event. Contest ends at 2 p.m. on Friday, January 22, 2016. No purchase necessary.